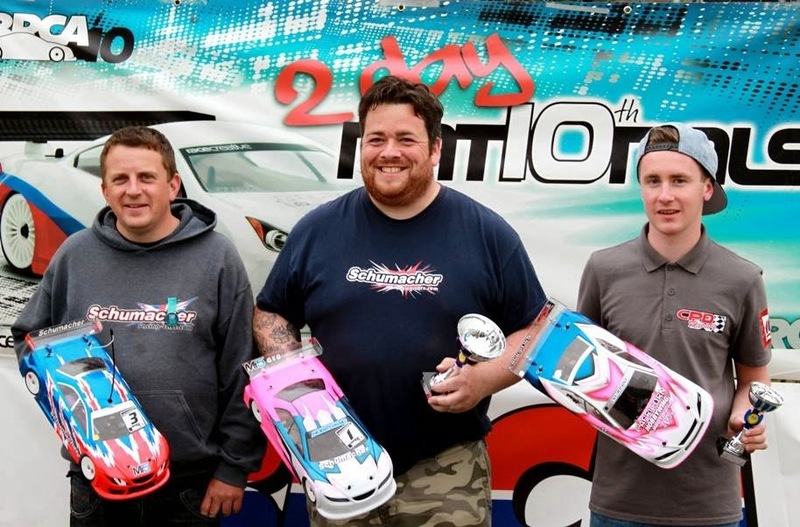 Stafford was the host to round three of the BRCA TC series this past weekend which attracted all the top drivers from across the UK to do battle. Drivers were greeted by clear blue skies and sunshine upon arrival to the circuit and the action soon got underway on the track. 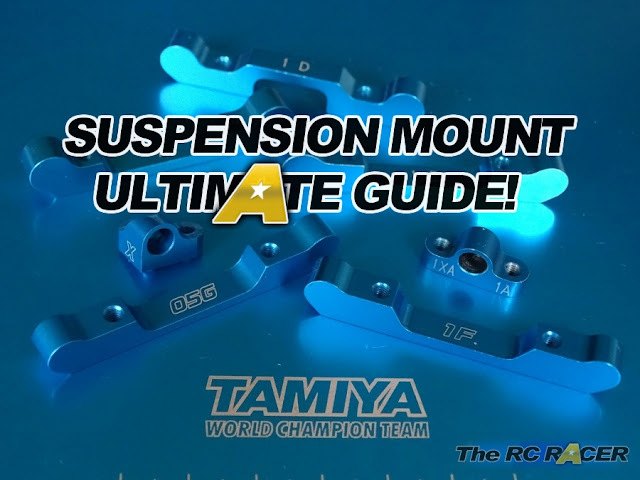 In the Super Touring class it was HB/HPI Racings Andy Moore that got off to the best start by securing TQ in round one. 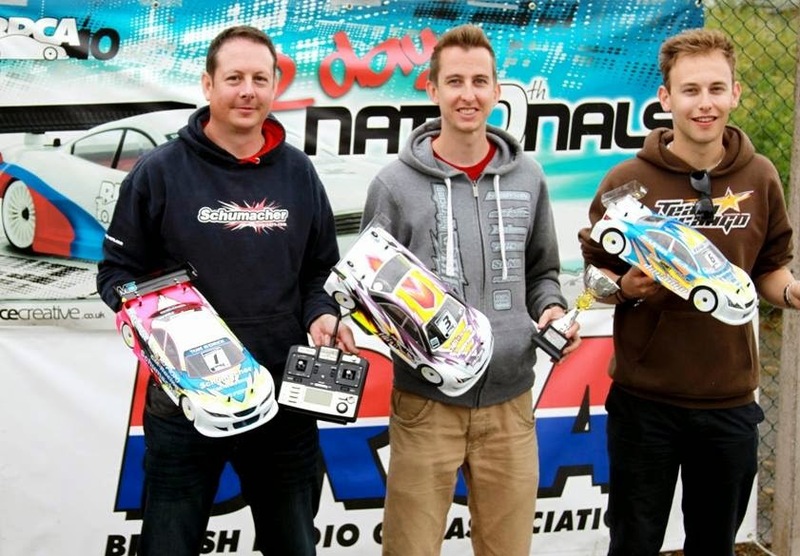 Olly Jefferies with his LRP powered XRAY T4’14 then went on to TQ round two. 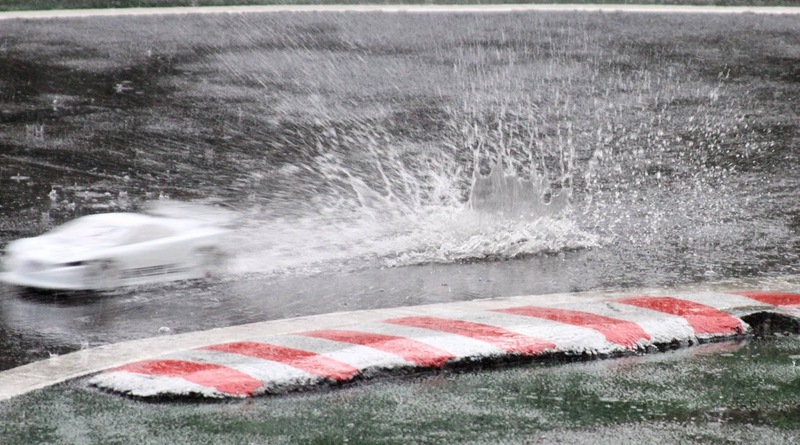 With bad weather the talk amongst many drivers these suspicions came true in round three of qualification, when the heavens opened up and completely soaked the Stafford track. Again it was Olly who took round three TQ with a great drive in the wet. The final two rounds of qualifying on Sunday was Chris Graingers turn to take TQ runs with his Schumacher Mi5 Evo. With Chris deciding to use up his last set of tyres in round five he was able to secure first on the grid by beating Olly Jefferies fastest qualifying time. In leg one of the A main, it was Andy Moore who was able to take advantage of the fact he saved two new sets of tyres for the finals by passing Chris Grainger to take the leg one win. Colin Price with his Schumacher finished a very close second and was looking to pass Andy in the final laps. Elliot Harper was able to bring his Durango across the line in third from sixth on the grid. In leg two it was again Andy who was able to make his way to the front from third on the grid, after a great battle with Olly Jefferies. Chris would finish second and Olly third. In leg three Chris was able to take the win ahead of Elliot Harper with a great drive from sixth with Olly finishing third. In the Pro Stock class it was Lee Price with his Schumacher who was able to secure TQ ahead of Ben Putt driving a Capricorn. Third on the grid went to the local hero Andrew Robson driving for Schumacher. Lee Price was able to keep his cool in leg one after being chased throughout the race by Ben Putt who finished a close second. Lee was again able to take the win in leg two with Andy Robson second and Ben Putt third. In leg three Andy Robson took the win to secure him second overall with Ben Putt completing the podium in third place. Thanks to the Stafford crew for hosting this round. The next round of the series is next month in the Cotswolds. See you there!